The radioamateurs of the Bafara (division RTS) and the members of the local radio club UBA-RST decided to propose the Royal Technical School of Saffraanberg (St-Truiden) as a candidate school for a contact with the ISS. As part of the school contacts with the ISS they proposed to be candidate to make a ham-radio contact with the second Belgian Astronaut, Lt. 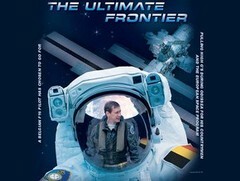 Colonel Frank De Winne ON1DWN (Member of UBA-RST and honorary member of Bafara). 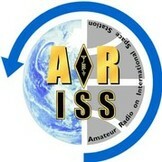 On Sunday 03 November 2002 around 10h15, ON4BAF managed to establish a radio contact with ON1DWN at the ISS. Some students had the opportunity to ask a few questions to astronaut Frank Dewinne. Radioamateurs who can prove a receiving report are in condition to become a QSL card, send your QSL card to QSL manager ON7AQ. 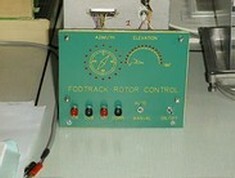 Via the website of RST you are able to listen to an audio stream of the contact. We have to say thanks to the RST team for their assistance, devotion and tremendous work, without them this project could never been realized. 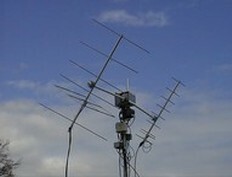 On 17 juli 2009 at 20u42, there was a new direct contact with the ISS from the Campus Saffraanberg. A number of 20 candidats Petty Officiers had the possibility to ask a question at our astronaut Frank De Winne. The questions where about the mission and space of Frank. We like to thanks the members of the local UBA-RST team for there help and work, without them, there was no contact with the ISS.